10mm microshaft UTS Carriage clock movement. 7mm microshaft Round UTS carriage clock movement. 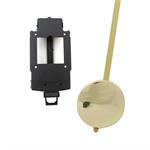 10mm microshaft Round UTS carriage clock movement. 11mm shaft UTS high torque euroshaft clock movement. 16mm shaft UTS high torque euroshaft clock movement. 20mm shaft UTS high torque euroshaft clock movement.